What if we calmed the voice of doubt in our heads and replaced it with one resolution – I will do something. Now that we’ve settled on that, what will that something be? We can cut down on bad habits, but are we actively seeking out good ones? Do we even know where to begin? Desiring a wellness journey is truly the first step. To start your quest to weed out old habits and replace them with more life-affirming actions. Just like we would clean out our garage or our car, so too should we clean out our physical body as well as our mindset. The body follows where the mind goes, and making a decision and commitment to your personal wellness is key to unlocking your potential. Cleansing the body from the inside out helps energize us and helps us to accomplish our goals. So for the first leg of our journey let’s agree to purge our unhealthy habits and commit to cleanse our physical body. Next, we must examine what to purge and what we’ll gain with our cleanse. Removing bad habits puts one in a state of mind that things don’t always have to be the same. So what would you like to change about your physical being? Would losing a few pounds be on that list? What about gaining an overall sense of being healthier? And energizing and strengthening the body wouldn’t be such a bad thing either. Congratulations! You have established goals. How you prioritize those goals will dictate what you’ll do to attain them. But no matter what order you place them in, I think you’ll be in good company. In our next journey, let’s delve further into the details of our purge and cleanse. And we’ll refine the goals we’ve identified. Until then, keep the negative thoughts at bay with the promise of a new day filled with new ways. 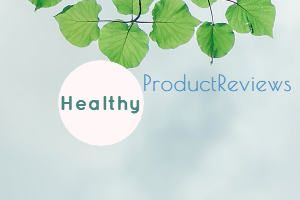 Welcome to the HealthyProductReview blog. Here you will find online reviews of products to promote healthier lifestyles in additions to tips and advice to improve the quality of life. ©Copyright 2019. HealthyProductReviews.org. All Rights Reserved. Disclaimer: This page may contain affiliate links. If you make a purchase using an affiliate link, the owner of this website may receive a referral commission.